Direct Recruitment are working in partnership with Safe Harbor Nursing & Residential Care for the supply of permanent Senior Night HCA’s!!! Are you an experienced Senior HCA looking for a shift that suits your circumstances? 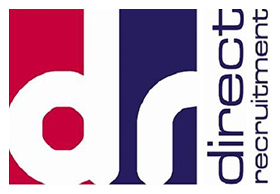 Direct Recruitment are working in close partnership with Safe Harbor to supply Night Senior HCA staff that can meet their specific requirements, and provide the specialist care and needs to their residents. Firstly, you will attend an initial interview with our Permanent Recruitment Manager – Hayley Bent at our offices in Stone to complete the necessary paperwork. Following this all suitable candidates will be sent to the Hiring Manager at Safe Harbour for further consideration. Next you will be asked to attend a second stage interview with their Hiring Manager. And so, if you are successful at this later stage, an offer will be made and a start date agreed. This concluding part will be coordinated by us, and the rest is up to you and your successful career with Safe Harbor! https://www.directrecruitment-uk.co.uk/wp-content/uploads/2018/09/Safe-Harbor-Logo.png 112 267 DR Admin https://www.directrecruitment-uk.co.uk/wp-content/uploads/2018/12/direct_recruitment_xlg-1.jpg DR Admin2018-09-20 10:43:112018-09-20 10:18:55Direct Recruitment are working in partnership with Safe Harbor Nursing & Residential Care for the supply of permanent Senior Night HCA's!! !